australian-charts.com - Phoenix - Bankrupt! 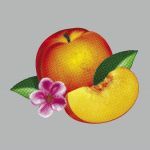 I really enjoyed Wolfgang Amadeus Phoenix which is what introduced me to them and I was really hoping this latest offering would match or better that. Unfortunately I didn't find that it did and initially I was very harsh on this album as a result. However I've since accepted that while it's not as good, it still has some very enjoyable tracks and for the most part is consistently good. SOS In Bel Air, Trying To Be Cool and Oblique City are the highlights. Indie Pop / Synthpop. Ein solides fünftes Studioalbum der Franzosen aus 2013, 4*...<br><br>Am besten gefällt mir hieraus:<br>Entertainment<br><br><br>Es reichte hiermit im Mai 2013 für #14 in den britischen Albumcharts. Interesting juxtaposition to its predecessor. This seems to be an improvement too; it feels more complete and cohesive. That being said, the change in sound is significant in this too as I think the synths make it more interesting. My favourites would be 'Entertainment', 'Oblique City' and 'Don't'.